Getting blood drawn is an experience that few people enjoy, and yet it is a necessity for a lot of people, especially those that are chronically ill or elderly. Yet doctors may order blood tests during a routine physical, or to make sure our seemingly mild symptoms aren’t something more serious. However, the poke is always uncomfortable, and many have a fear of needles, which makes the experience particularly unpleasant, especially when it is not immediately obvious why your nurse or phlebotomist is doing what he or she is doing. So I decided to write a pair of articles answering some of the most common questions I get as a phlebotomist. For this installment, I will focus on the mechanics of the blood draw, and will follow up with a future article detailing and demystifying the individual blood tests themselves. What is the tourniquet for? If you’ve ever had your blood drawn or had an intravenous (IV) catheter put in, you’ve had a tourniquet tied around your arm. Tourniquets are usually a long, elastic band of some kind, though they can take many forms. The tourniquet is used to help your nurse or phlebotomist find your veins. While they don’t cut off circulation completely, they do slow down the return of blood to the heart through the venous system. Blood pools in the veins below the tourniquet, causing them to “stick up” better. I have even used two tourniquets to help find veins on especially hard to draw patients. Note: these are not like the heavy-duty tourniquets used in emergency situations to stop blood loss. Those aim to seriously slow down blood flow to the area. Why do I have to make a fist? Like using tourniquets, making a fist is also something you are occasionally asked to do to help find your veins. Clenching of the fist helps encourage blood flow, which in turn helps the veins stand out. This technique is especially useful with patients who have especially small or deep veins. However, new studies have suggested that perhaps clenching your fist isn’t always the best thing to do – it can raise potassium and other levels in the blood to where it might not be naturally. These studies showed that when procedures changed to not emphasizing the clenching of the fist, these levels improved dramatically, although they do recognize that sometimes it may be the only way to get blood on a difficult individual. Needle size is measured in gauge, that is, the diameter of the needle. Many IV catheters are 20 gauge, for example, while in phlebotomy the largest needle that I usually use is a 21 gauge, which is one step smaller. Many needle sizes are available however, and I often will go as small as a 22g or a 23g (the absolute smallest I carry), depending on the size of the veins. At my facility, we try never to draw with anything smaller that a 23g needle, because the smaller you go, the greater the risk of hemolysis of the blood sample. Hemolysis is the bursting open of the blood cells, which will alter the blood test results such that they will no longer be accurate. So while we use smaller needles for smaller veins, the general rule of thumb is always to use the biggest needle thickness you can in order to get a good sample. Why does one phlebotomist draw my blood differently than another? While the needle size discussed above is pretty universal, there are many different ways in which they are used to obtain the blood sample. I will touch on the three that I most commonly use in my workplace, starting with the Vacutainer. This generally consists of a plastic holder into which your nurse or phlebotomist will screw a needle. The needle is then inserted into the vein, and blood collection tubes are then pushed into the holder and onto the other end of the needle. The vacuum contained within these tubes will then naturally draw the blood from the vein into the tube. These tubes are then switched out when filled. Vacutainer is actually a brand of collection products, ranging from the needle, to the holder, to the tubes themselves, but in my facility it has come to be used colloquially to refer to this method of collection. Another way blood is collected is the old-fashioned needle and syringe, what we refer to as a straight needle collection. In this situation the needle is simply screwed onto the top of the syringe, often in a luer lock. There are many reasons a professional might choose to draw blood this way rather than use a Vacutainer collection device, but one of the most common is simply that a vein might not be able to handle the stress of the collection tube’s vacuum pulling the blood itself. The force these tubes draw with can cause some veins to collapse, and so in these instances it is better to use a syringe where the pressure can be controlled. The drawback to straight needle and syringe collection is that the longer the blood sits in the syringe, the more likely it is to clot, which can compromise certain lab test results. Syringes are also used with butterfly needles, otherwise known as winged infusion sets, which are simply blood collection needles fitted with plastic “wings” for the phlebotomist to hold on to, and connected to the syringe by a length of tubing. Butterflies are available in most needle sizes but do tend to be more expensive, so my facility only opts to buy them in 23g, the smallest size we use for blood collection. The small needle size, tubing, and the wings make these needles ideal for small veins that have a tendency to roll and collapse, as there is more maneuverability than with a 23g needle simply attached to the tip of the syringe. For this reason, I often save my butterflies for the most difficult of patients, for children, and for patients who need blood drawn from the hand veins, which are notoriously less well anchored and more sensitive than arm veins. Ultimately, it comes down to the nurse or phlebotomist’s own discretion given the situation. What does it mean when a vein rolls/collapses/blows? Actually, these are very literal. When we talk about rolling veins, what we are referring to are veins that are not well anchored, and so when your nurse or phlebotomist goes to poke them, they will literally shift or roll off to the side, away from the needle. There are many things that can be done to minimize rolling, such as stretching out the skin over the puncture site and/or locking the elbow and straightening the arm over the side of the chair/bed. Hand veins are more likely to roll than arm veins, so often what I will do is bend the patient’s hand at the wrist and stretch the skin out over the vein as firmly as I can to prevent the veins from moving. Phlebotomy is actually a very straightforward procedure, and it is my hope that these shed a little more light on everything for any that were curious. 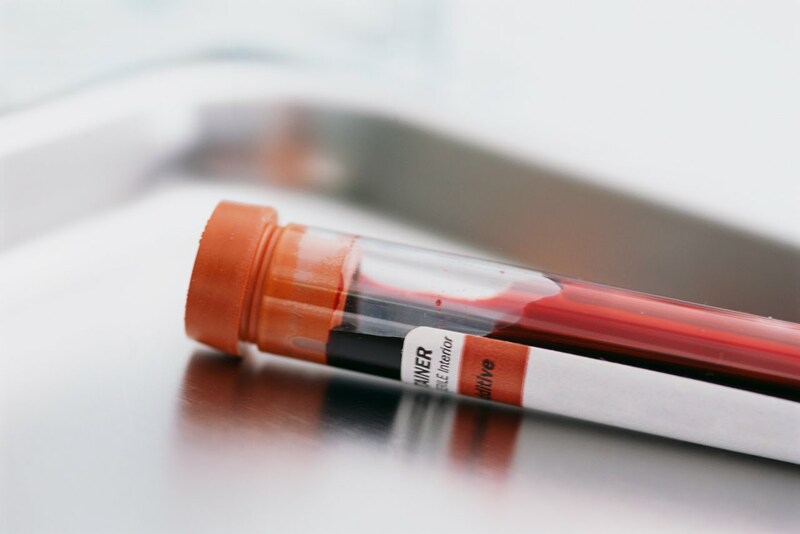 In the next article, I will elaborate on the actual blood tests themselves, with explanations for why your doctor has ordered a particular test and descriptions of the different tubes used during your blood draw. In the meantime, if you have any further questions, leave them in the comments; I will be happy to answer them!